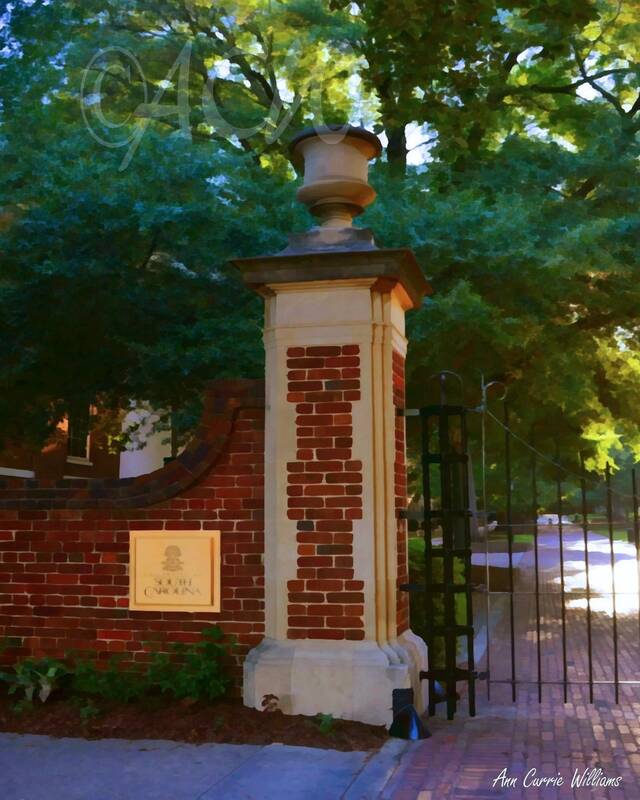 Gate at the Historic Horse Shoe at the University of South Carolina in Columbia in the morning light based on an original photograph. This is the iconic symbol of the university. A great present for a student or alumni. An image based on an original photograph.